Please make an appointment via e-mail in advance. International Trade---We study theoretical frameworks for understanding various aspects of international trade and investments. We first take up some classical theories of comparative advantages and their recent developments and, then, move on to contemporary theories incorporating such feasures as ''increasing returns to scale,'' ''product differentiation,'' and ''oligopolistic interactions'' that characterize the modern industrialized international economy. Paraticipants are supposed to master "International Economics" and "Game Theory" thoroughly. The 3rd-year students read and lean the standard textbooks on "International Economics" and "Game Theory." In addition, they learn how to write academic papers; to collect datas and materials; to construct and manipulate mathematical models; to conduct econometric analysis. They acutally write some joint academic papers in cooperation and present it in some workshops, debates and/or conferences. Each of the 4th-year students will write a graduation thesis under the supervision of the instructor. The main theme of my graduate seminar is "International Economics." Participants are supposed to acquire the cutting-edge knowledge about International Economics and the skills that are indispensable to be an autonomous/independent researcher in this field. Is "academics" useful? It depends. What is important is to make good use of "academics." "The distributional and allocative impacts of virtual labor mobility across time zones through communication networks,” with Ngo Van Long, Review of International Economics, 2015, 23 (3): 638-662. "Noncooperative farsighted stable set in an n-player prisoners' dilemma," International Journal of Game Theory, 2009, 38, 249-261. "Successive expansion and stability of network integration in international trade," in: T. Kamihigashi and L. Zhao (eds. 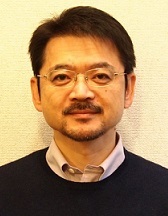 ), International Trade and Economic Dynamics: Essays in Memory of Koji Shimomura, 2008, 161-185, Springer. "Free entry, market size, and the optimistic stability," International Game Theory Review, 2007, 9(2), 243-268. "Expansion of network integrations: Two scenarios, trade patterns, and welfare," with Toru Kikuchi, Journal of Economic Integration, 2005, 20(4), 631-643. "On the existence and efficiency of the von Neumann-Morgenstern stable set in a n-player prisoner's dilemma," International Journal of Game Theory, 2001, 30, 291-307. "Reexamination of the international export quota game through the theory of social situations," Games and Economic Behavior, 1999, 27, 132-152. "Welfare analysis of tariff change with and without international transfers," Journal of International Economics, 1993, 35, 377-387. Theoretical Analyses on Trade Liberalization ---Stepwise and Piecemeal Policies and Welfare Improvement, 1993, published by Kobe University Publishing Association; circulated and sold by Yuhikaku co. Ltd., (Original in Japanese).